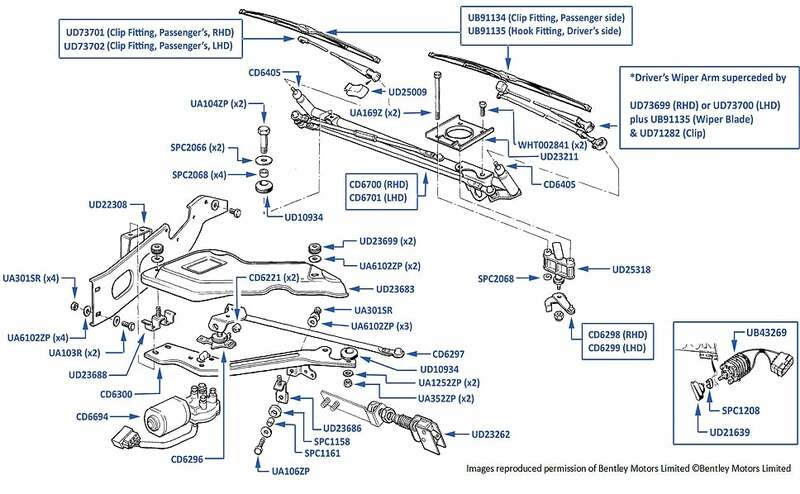 This section is split into different country specifications as well as all chassis ranges & models within each. 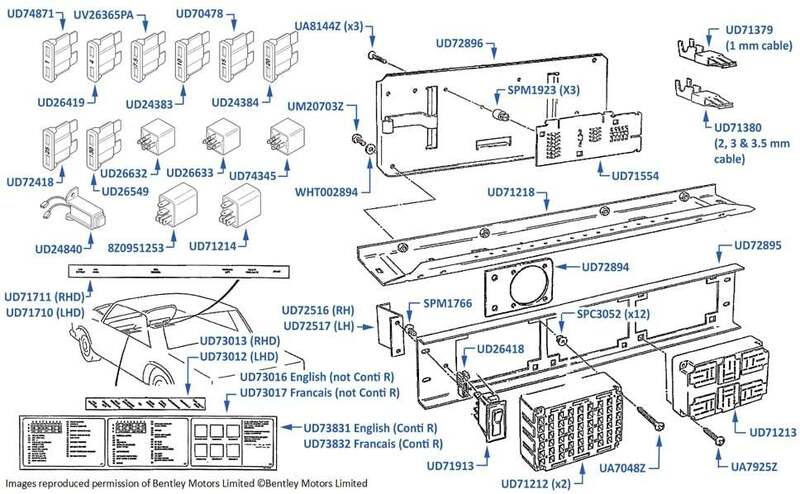 Select chassis range from the early or later range and continue to see ABS system and all related components. 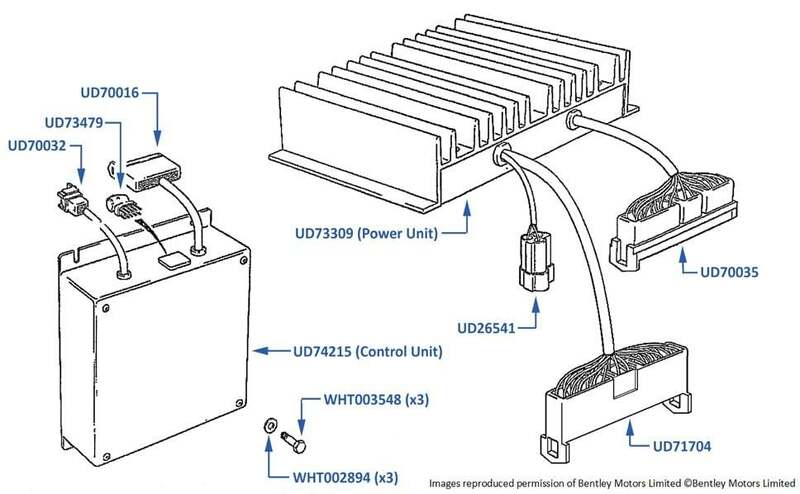 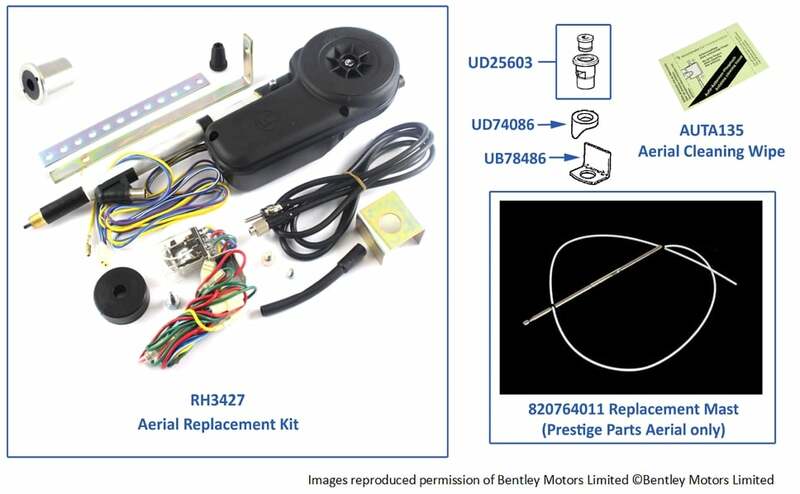 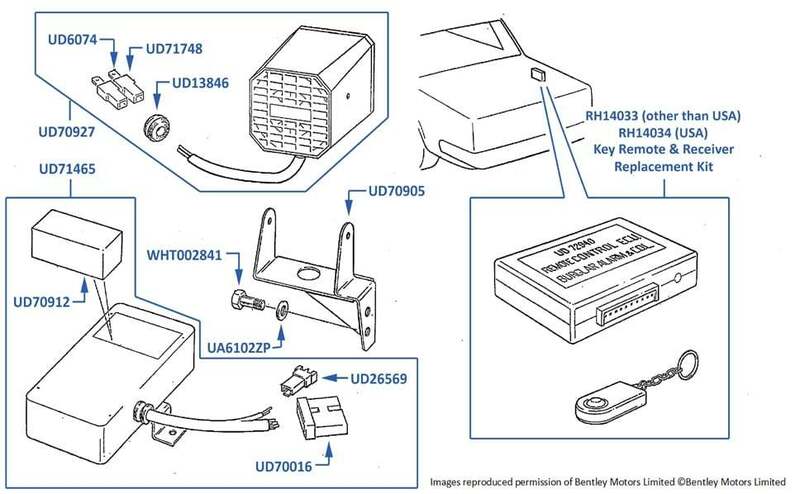 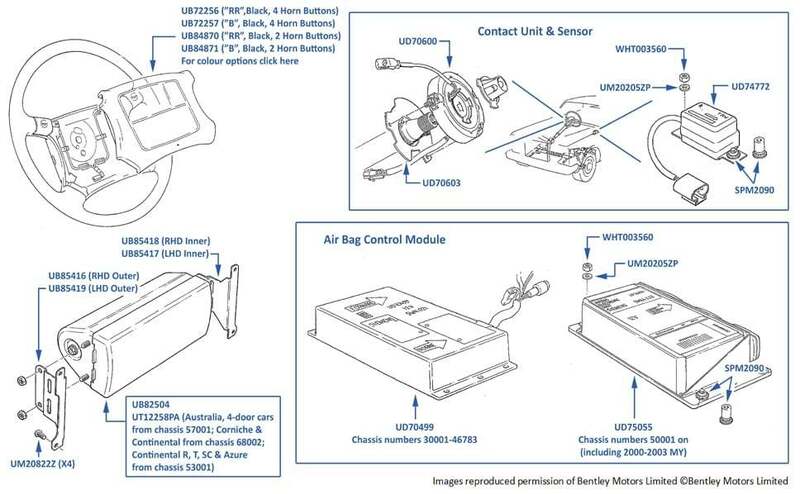 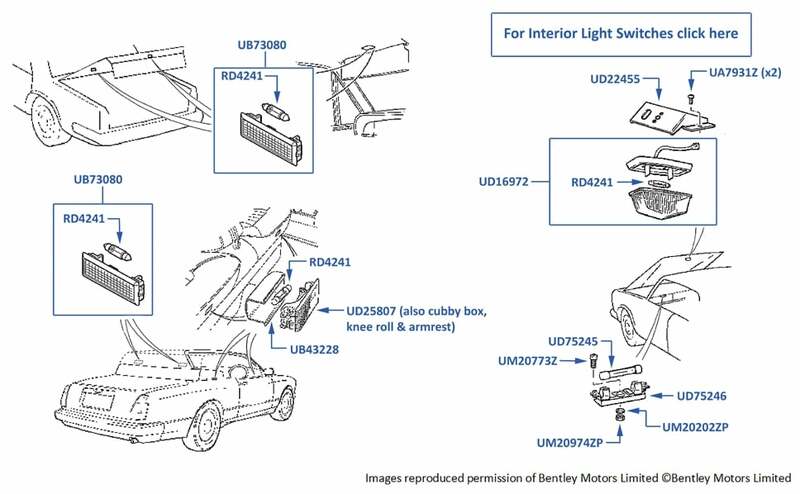 Battery and Ammeter Shunt for all 2 door and 4 door Rolls-Royce and Bentley models manufacutured from 1980 to 2003. 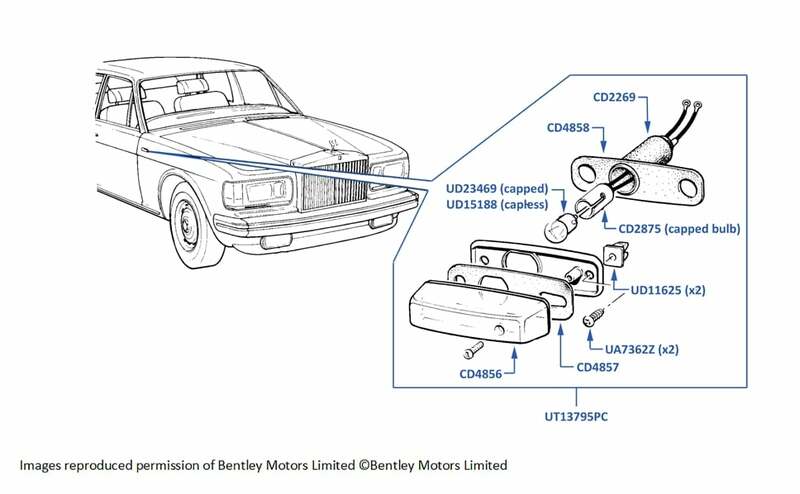 Cigar Lighters for all Rolls-Royce and Bentley models from 1980 to 2003. 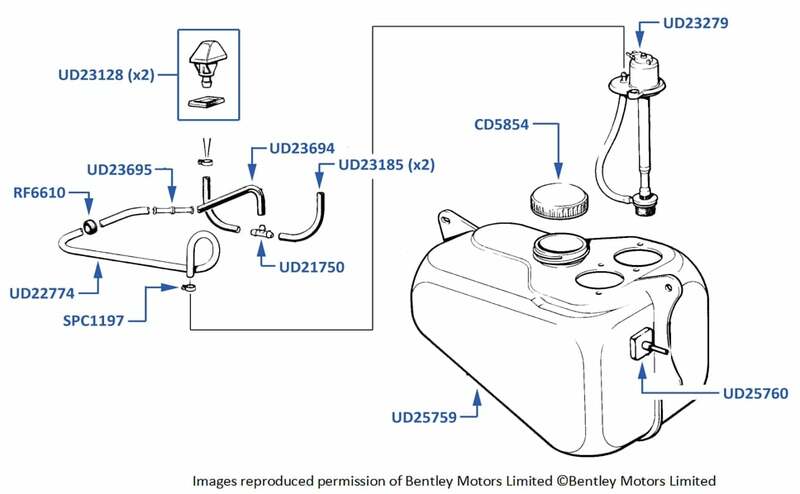 Door Mirrors for Rolls-Royce and Bentley 4-Door models, Corniche and Continental, Continental R, T, SC and Azure. 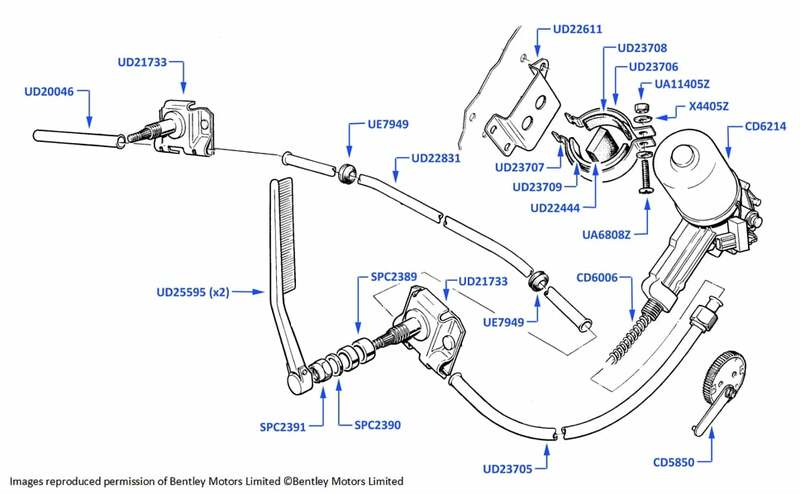 Fuel Door Parts and Spares for 4 door cars, Corniche and Continental, Continental R, T & SC and Bentley Azure. 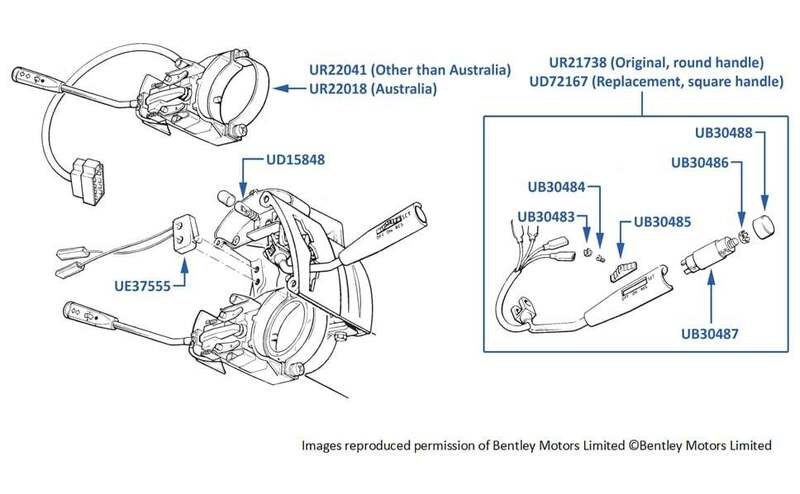 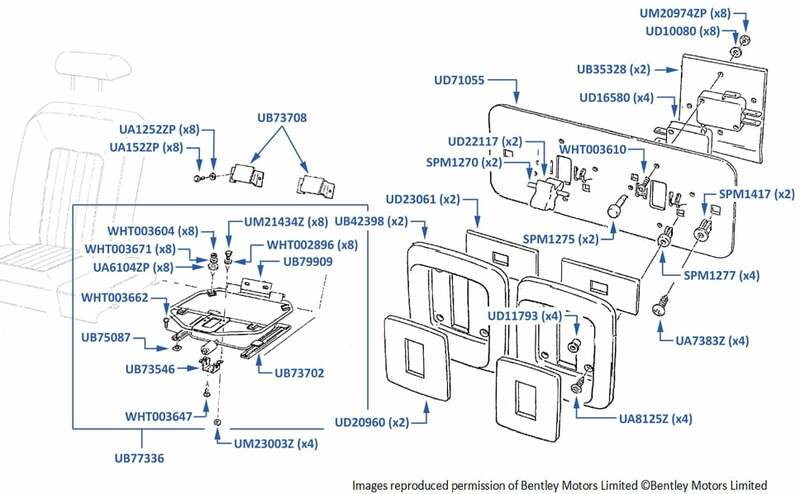 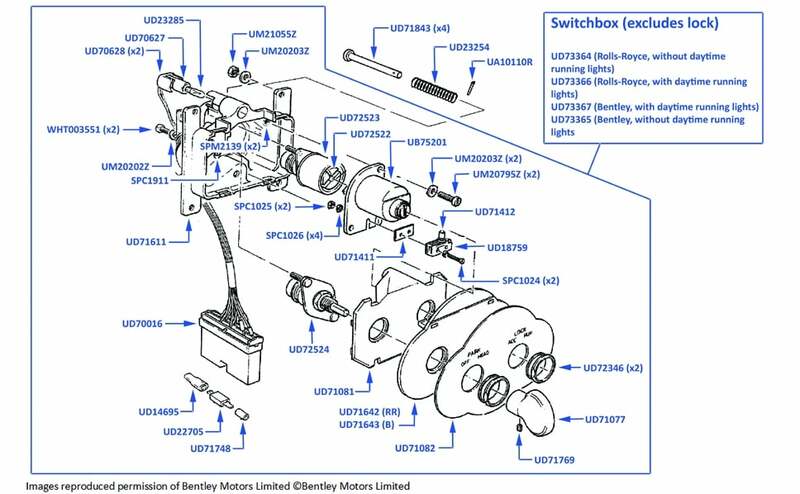 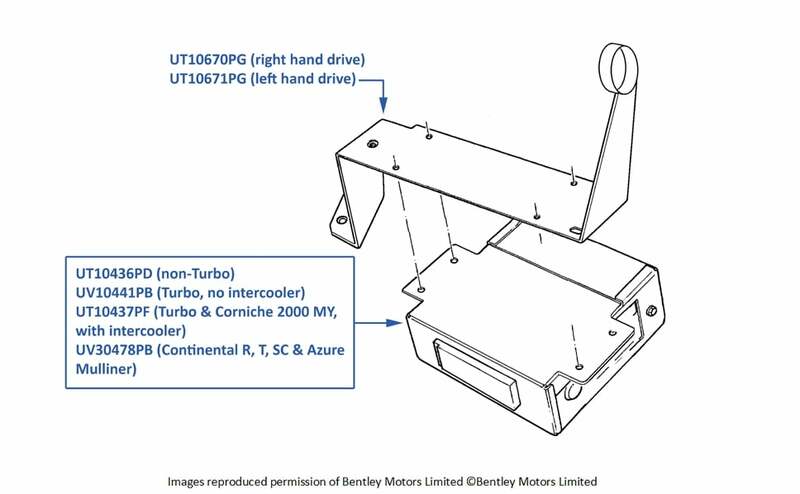 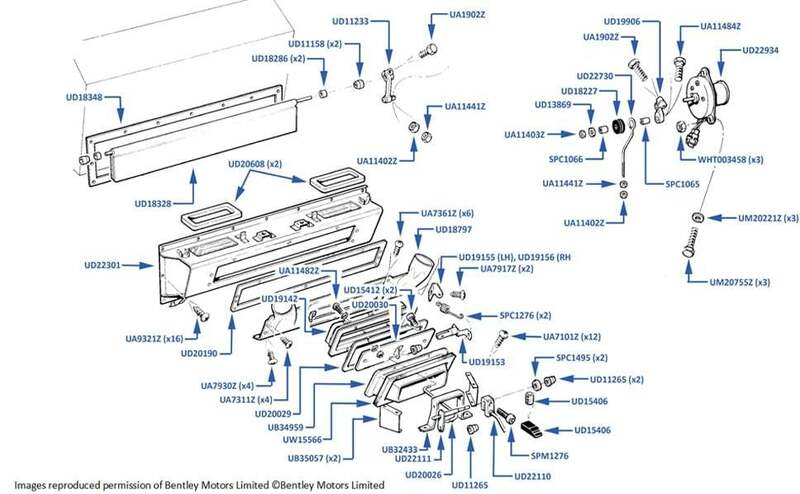 Gearbox Actuators for all Rolls-Royce and Bentley models from 1980 to 2003 listed by chassis range for accurate selection. 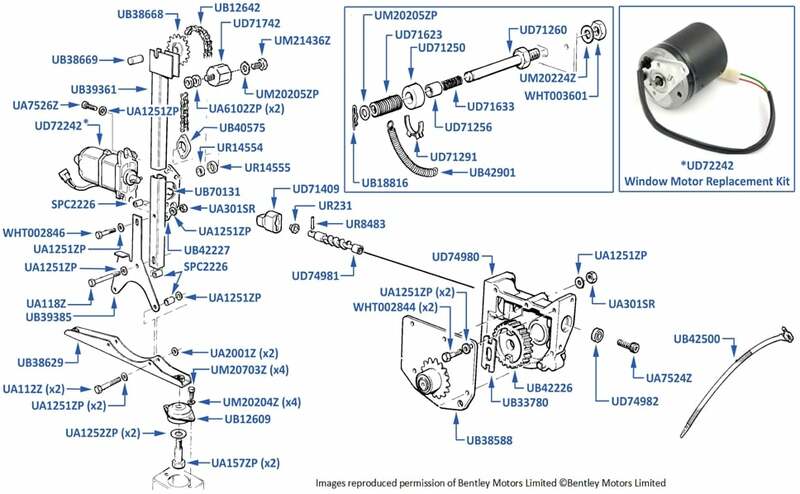 Simply hover over each image to see price and availability. 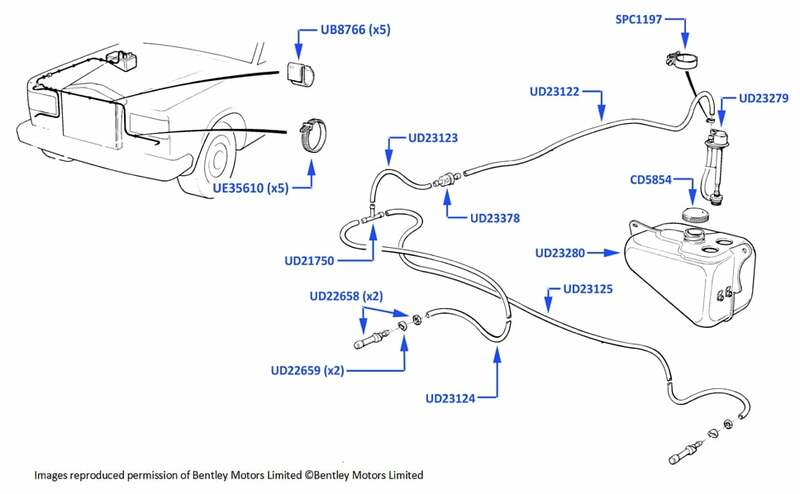 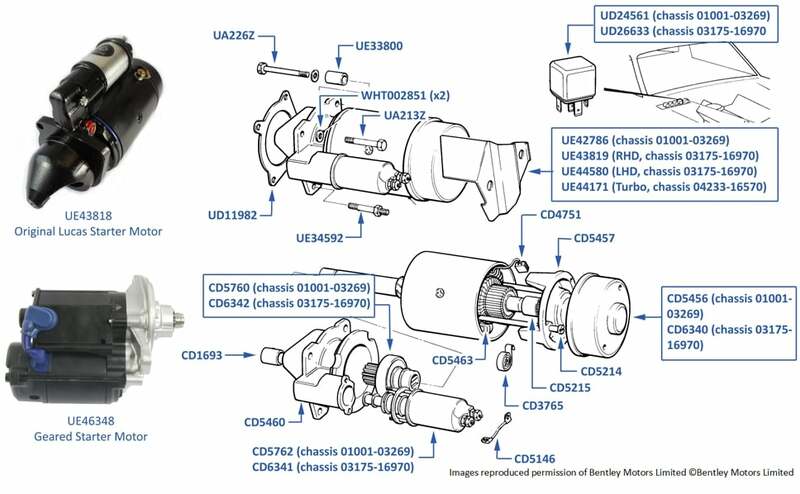 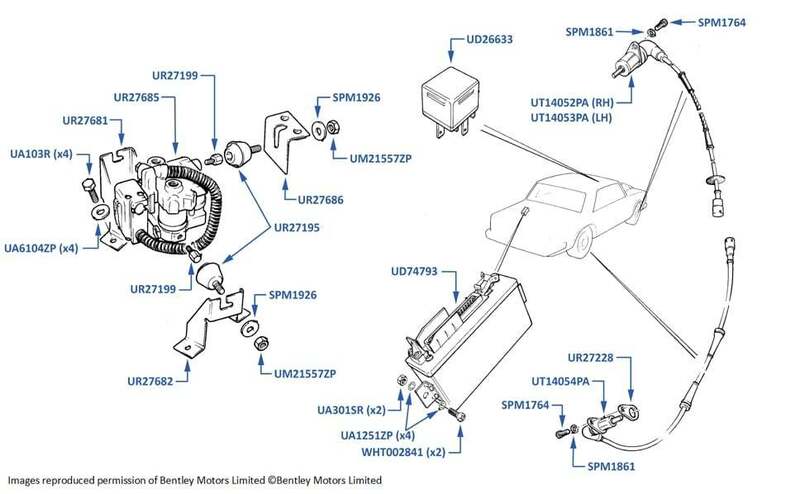 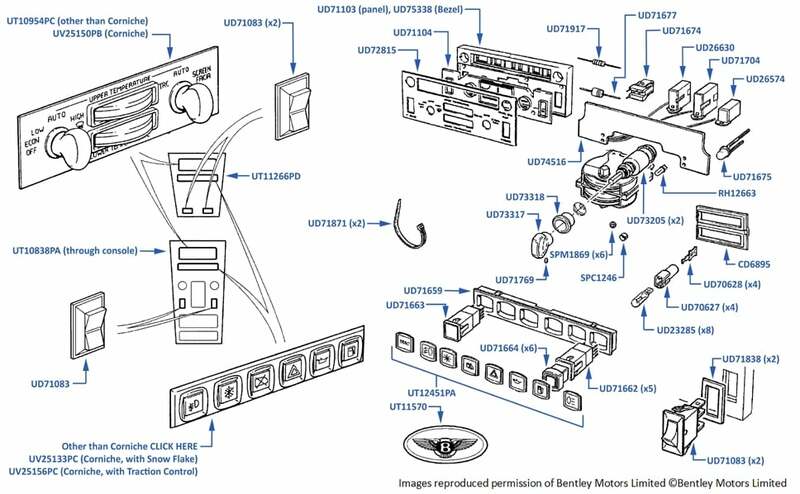 All instruments, transmitters and associated fittings and components for Rolls-Royce and Bentley models from 1980 to 2003. 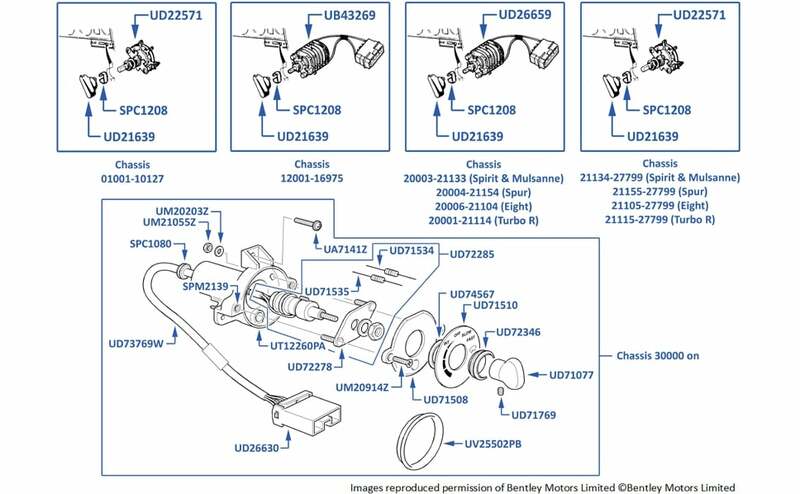 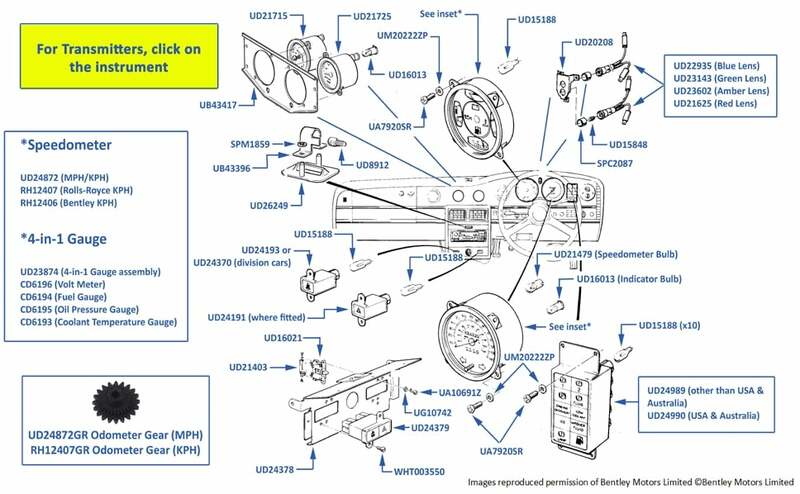 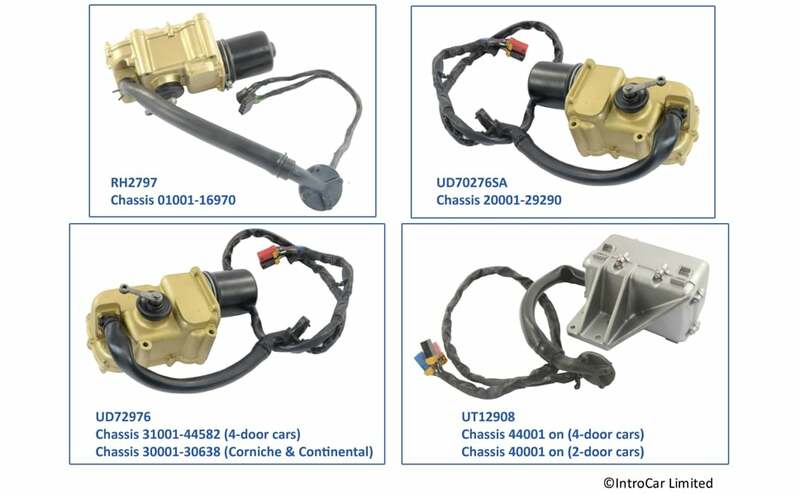 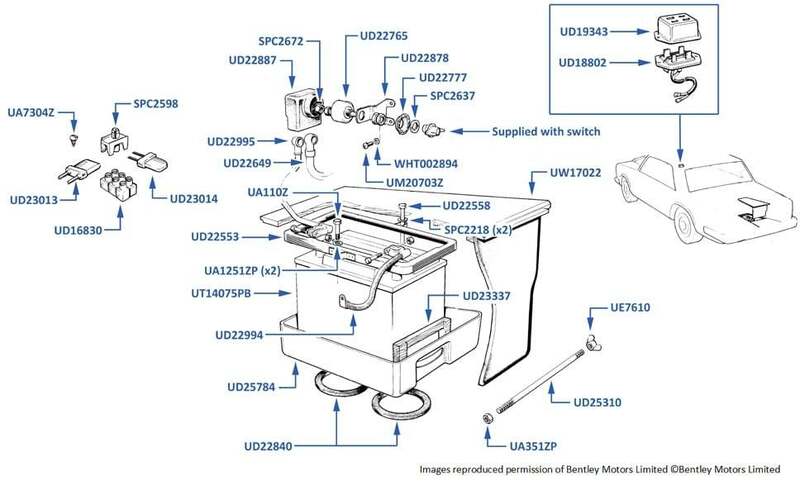 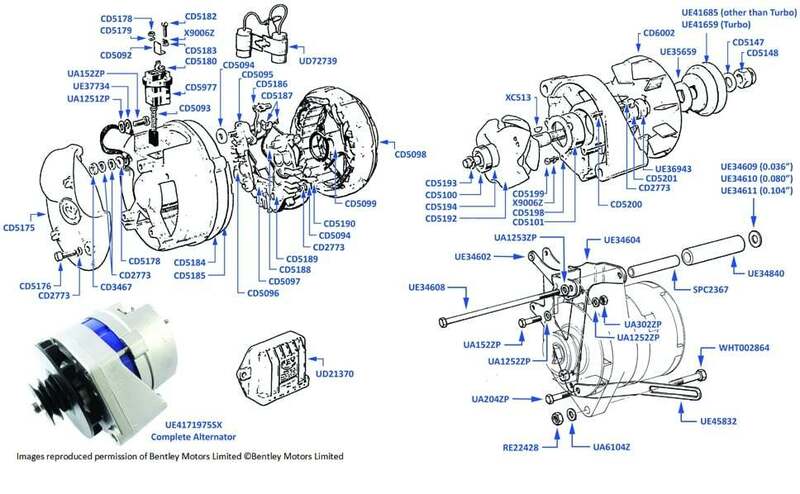 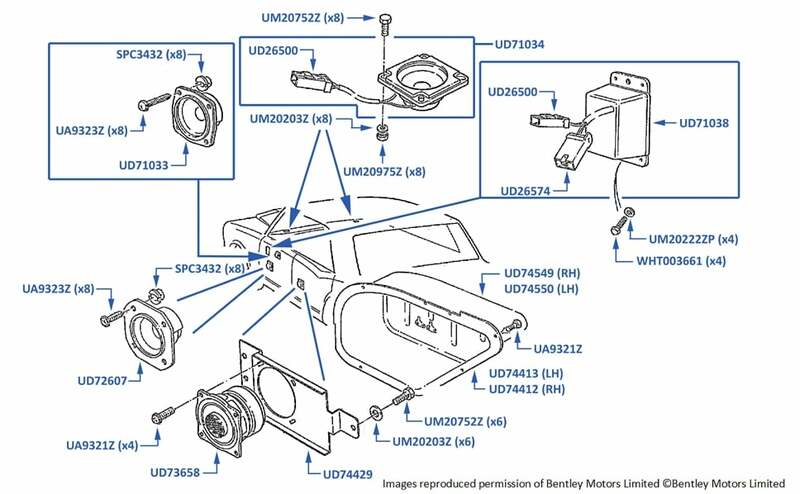 Parts diagrams show every detail, simply hover over part numbers for price and availability.